As the Eagles convene for training camp, the team made a few moves on Sunday. One of them was jettisoning fifth-year cornerback Dwayne Gratz. Philadelphia announced the release of Gratz, whom the team signed late last season to a two-year deal. No guaranteed money was attached to Gratz’s $775K contract. The Eagles also placed Sidney Jones and Beau Allen on the Active/NFI list. Philly will meet for camp on Monday and begin practice Thursday. The Eagles are the third team since October 2016 to part ways with Gratz. The Jaguars cut him in October, but Gratz didn’t make it to free agency when the Rams claimed him. However, Los Angeles cut Gratz as well after deploying him in three games. The Eagles signed him in advance of Week 15 last season. The 27-year-old corner did not play any games for Philly. 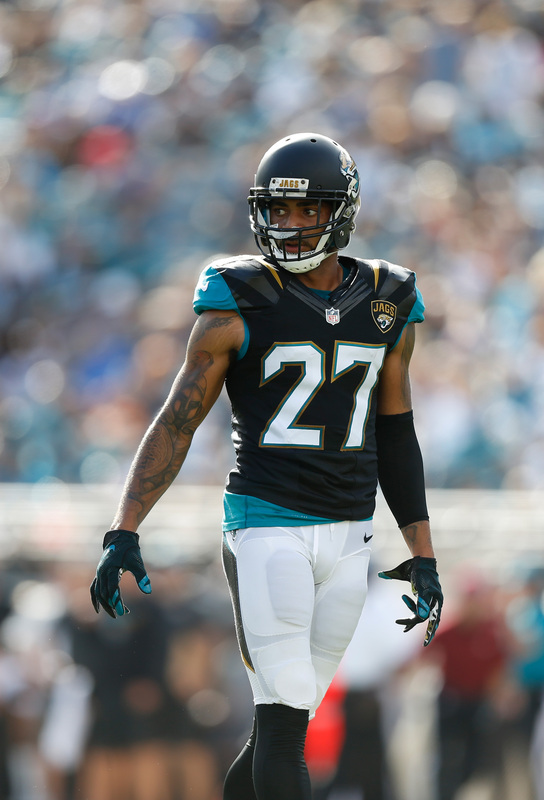 Gratz functioned as a primary starter for the 2014 Jags but has otherwise been a backup. Philly does not have a particularly deep cornerback contingent, but Zach Berman of the Philadelphia Inquirer notes (on Twitter) 2016 UDFA C.J. Smith and CFL import Aaron Grymes performed better than Gratz during offseason workouts. Jones could still miss the season due to his Achilles injury, and Allen suffered a chest injury while working out this offseason. The defensive tackle who has served as a rotational player is not expected to be ready by Week 1. Days after being arrested for a DUI, the Rams announced that they have released cornerback Troy Hill. The team also announced that cornerback Dwayne Gratz has been waived and linebacker Josh Forrest has been placed on injured reserve. To take their spots, cornerback Michael Jordan and linebacker Nic Grigsby are being called up from the practice squad. Hill, 25, entered the league as a Bengals undrafted free agent in 2015 and didn’t play much during his rookie season. This year, he saw an increased role, appearing in every game for the Rams (until this weekend) and starting four contests. As Los Angeles’ fourth cornerback behind Trumaine Johnson, E.J. Gaines, and Lamarcus Joyner, Hill has played on 320 defensive snaps this year, but Pro Football Focus gave him poor marks for his play. His release should have opened a door for Gratz, but he also finds himself out of work. Forrest, a sixth-round pick, suffered an ACL tear on Sunday. Forrest was Alec Ogletree‘s primary backup at middle linebacker, so they are now without an important reserve. As I suggested yesterday, Grigsby is getting a promotion to help fill the void. 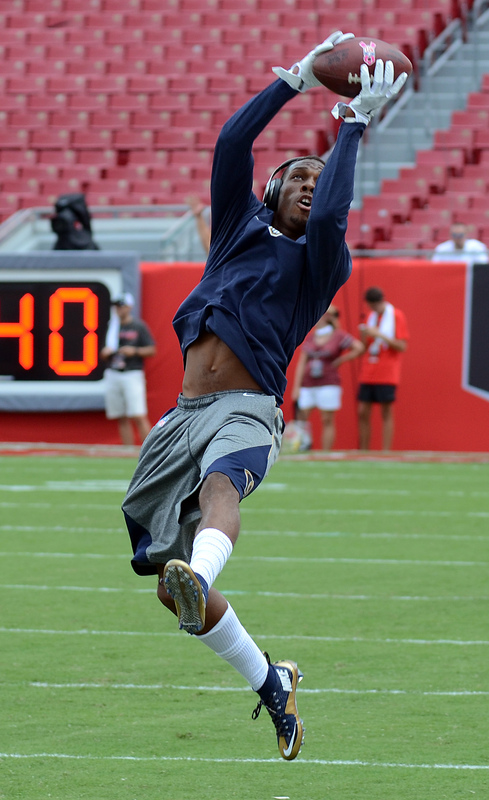 The Rams have claimed cornerback Dwayne Gratz off waivers, according to Adam Schefter of ESPN.com (on Twitter). Gratz was waived by the Jaguars earlier this week. Jacksonville cut Gratz on Monday in order to make room for fellow cornerback Aaron Colvin who had been serving a four-game suspension for a PED violation. Gratz, a UConn product, was in his fourth year with the Jags. From 2013-2015, he appeared in 37 games with 25 starts. This year, he saw time in three contests before getting dropped. After starting cornerback Trumaine Johnson was forced to leave Sunday’s game with an ankle injury, Gratz may be counted on to provide the team with depth. Trent Richardson may be down to his last chance to continue his NFL career, and he may be firmly on the Ravens‘ roster bubble, but one still has to give him credit for dreaming big. 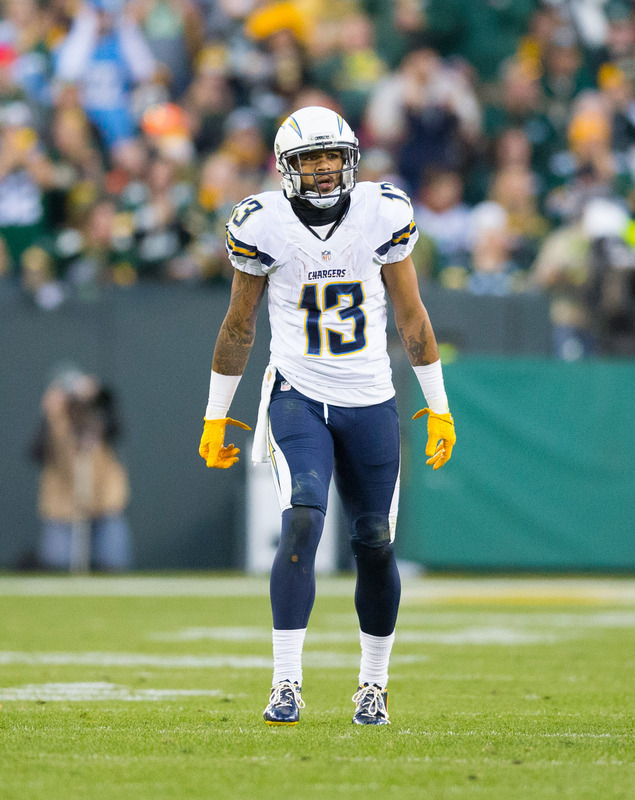 In an interview with Comcast SportsNet, Richardson said he would end his NFL story by “Putting on a yellow jacket. People wrote him off, he came back and did some amazing things. He always had the pedigree. He just had to get back to the guy that we know” (link via Clifton Brown of CSNMidAtlantic.com). T-Rich, the former No. 3 overall pick of the 2012 draft, has a career average of just 3.3 yards per carry, and he has struggled with injuries and weight throughout the course of his once-promising career. 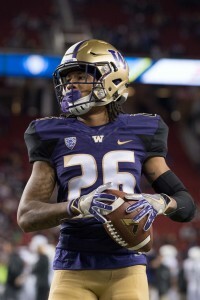 Just 25, Richardson realizes there will probably not be another opportunity for him if he fails to make Baltimore’s roster, but as he fights to carve out a place for himself on the Ravens–who are well-stocked at the running back position–a little self-confidence can’t hurt. Johnny Manziel‘s attorney, Jim Darnell, says his client is preparing as though he will play in the NFL in 2016, as Jeremy Fowler of ESPN.com writes. Per Fowler, Darnell concedes that a return to the league in 2017 is more realistic, but it would take a confluence of positive outcomes for even that to happen. Manziel’s pending assault charge, for which he has a status hearing on June 24, would have to be resolved in his favor, he would have to weather whatever punishments the league levies upon him, and he would have to find a team willing to gamble on him and his fledgling football abilities. Mike Florio of Pro Football Talk reports that the NFL has not yet contacted Dolphins rookie left tackle Laremy Tunsil about the now-infamous bong video that precipitated Tunsil’s fall in April’s draft. As Florio notes, however, the league could come calling any day. The top of the Dolphins‘ wide receiver depth chart is largely settled, but there is some intrigue among a few of the less-heralded players on the roster, as Barry Jackson of The Miami Herald writes. Barring injury, Jarvis Landry, DeVante Parker, Kenny Stills, and Leonte Carroo will be the club’s top four wideouts, but rookie Jakeem Grant, despite being a raw route-runner, has flashed in OTAs, and players like Griff Whalen and Matt Hazel also have their supporters among the Dolphins’ coaching staff. New Jets left tackle Ryan Clady still has a chip on his shoulder as a result of the unceremonious end to his tenure with the Broncos several months ago, and he is determined to prove he is still the same player he was during his peak years in Denver, as Rich Cimini of ESPN.com writes. Ryan O’Halloran of The Florida-Times Union takes a look at six returning Jaguars who could be on the roster bubble, a list headlined by Tyson Alualu and Dwayne Gratz. For Colts defensive lineman Arthur Jones, who signed a five-year, $33MM deal with the team after four years in Baltimore, versatility is the name of the game. Jones started 20 of his 46 games played with the Ravens, totaling 8 1/2 sacks in his most recent two seasons. He’ll be asked to stuff the run on early downs and rush the passer on favorable down-and-distance situations. An unselfish man on and off the field, Indianapolis is hoping Jones’ steady play and demeanor rubs off on his defensive counterparts. The signing of safety Mike Adams creates real intrigue in the Colts‘ defensive backfield, writes Stephen Holder of The Indy Star. Losing 43-22 to New England in the AFC divisional playoffs is motivating Colts quarterback Andrew Luck, ESPN.com’s Mike Wells reports. Sooner is better than later in the case of surgery for Texans‘ defensive end Jadeveon Clowney, ESPN.com’s Tania Ganguli writes. Clowney should be back in time for training camp, where the reps are far more significant than those in padless mandatory minicamps. The lack of mental mistakes made by Titans defenders in minicamp practices was referred to as amazing by new defensive coordinator Ray Horton, ESPN.com’s Paul Kuharsky reports. Jaguars‘ cornerback Dwayne Gratz has been quiet at OTAs this offseason, writes Bruce Lipsky of Jacksonville.com. Lipsky notes that this is a good thing, because in the past Gratz has been noticeable at team’s practices for his inability to cover receivers. Gratz has been better this offseason, and recently made some positive noise during 11-on-11 drills on Thursday. Entering the second season with general manager Dave Caldwell and Gus Bradley at the helm, the Jaguars are still searching for their face of the franchise, according to ESPN.com’s Michael DiRocco.